Once you’ve determined that a compact excavator — also known as a mini excavator — is the right machine for you, the real work begins. It’s time to think about your business and how you’ll use the machine. But don’t let the terms “compact” or “mini” fool you; these are serious digging machines. Start by thinking about where you will use the machine primarily. Do you have specific width and weight restrictions? The machine you choose must access your smallest worksites, finish the job and grow with your business. Assess your typical dig depth, power and lifting requirements before you start shopping. 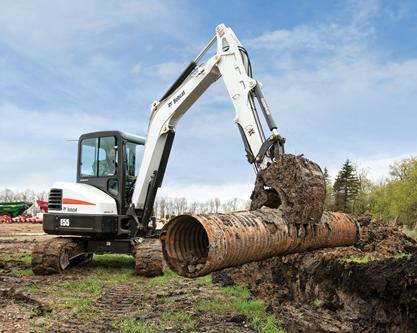 Because you don’t want to sacrifice performance for size, many smaller compact excavator models have impressive bucket breakout force and can even accommodate long-arm or extendable-arm options for added depth and reach. With three available arm configurations, Bobcat compact excavators cover a wide variety of digging depths, from 6 feet to more than 15.5 feet. Look for a model that will accommodate your typical digging requirements. • Standard power arm: The standard power arm offers maximum arm breakout force, making it ideal when digging performance is your top priority. • Long arm: Models with available long-arm option increase dig depth and reach, saving you time by reducing the need to reposition the machine. • Extendable arm: The industry’s first and only clamp-ready extendable arm option from Bobcat Company balances performance and maximum reach on select machines. When you buy a truck, do you buy the smallest-horsepower engine? The reason you look for more power in your truck is the same reason you should demand it in your compact excavator. Horsepower equals performance under load in compact excavator terms, meaning you get increased slew torque, faster cycle times and increased auxiliary hydraulic performance in higher horsepower machines. A compact excavator with the most engine horsepower to machine weight ratio will dig stronger and faster than the competition. And the more challenging your trenching or grading needs, the more you will appreciate engine horsepower. 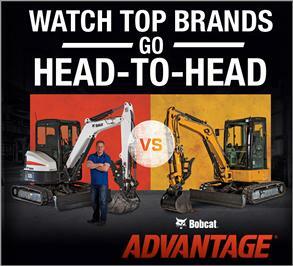 Mini excavators typically range from 10 horsepower in smaller machines to nearly 60 horsepower in larger models. If you want this machine to grow with you, pay close attention to attachment availability and the attachment mounting system. Check with your local compact equipment dealer to confirm attachment options and whether rental is available. Confirm whether a particular machine can mount a hydraulic clamp for demolition or other material-handling jobs. How complicated and time-consuming are attachment changes? The Bobcat® Hydraulic X-Change™ system, for example, lets you remove or hook up attachments at the press of a switch in under three minutes, making attachment switching a breeze and saving you valuable time on the jobsite. 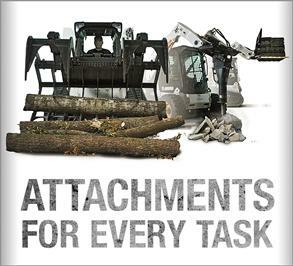 Traditional pin-on attachments can take 20 minutes or longer to change. The mid-1980s, when compact excavators first became popular in North America, provided only one choice for tail swing — conventional. 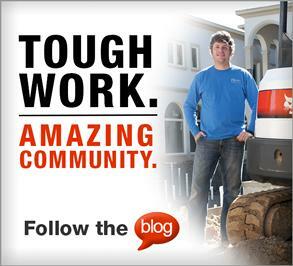 Today, you can choose a machine with flexibility when working in tight spaces or next to objects. Generally, Zero Tail Swing (ZTS) excavators are wider than conventional tail swing machines. If your work takes you through very narrow property lines, fences or gates, you might want to consider a conventional tail swing machine. A ZTS machine, on the other hand, gives you unrestricted motion and minimizes the need to frequently turn and reposition. Furthermore, ZTS machines have no tail overhang when you rotator the excavator’s house, providing you with more clearance to work close to objects or next to walls. If you are looking for an excavator in between ZTS and conventional, many compact equipment manufacturers offer Minimal Tail Swing models. These models may offer as little as an inch of tail-swing overhang. There are many other considerations when buying a compact excavator, but having clear picture of how you’ll use the machine can help make the process easier.